klyn. As I crossed 115th Street, there was this advertisement for a realty company posted in the placard box at the bus stop. The ad centered around the face of a white woman, with the language above her head saying, “Living in Harlem since 2004.” The ad was weird, to say the least. First of all, people have been living in the village known as Harlem for 360 years, so who in particular has been living in Harlem since 2004? Secondly, the realty company that created the ad placed the picture of the white woman with the aforementioned caption right on the corner of W. 115th Street and Frederick Douglass Blvd. That area is still very much a Black neighborhood. So, who are they promoting to with this pretty white woman saying that she’s lived in Harlem since 2004, in a community where many of the residents have been there for far longer? This past Sunday, as I was walking from my house over to the Planet Fitness on Fulton Street, I noticed an advertisement in the placard box at the bus stop. It’s an ad for Google Earth. 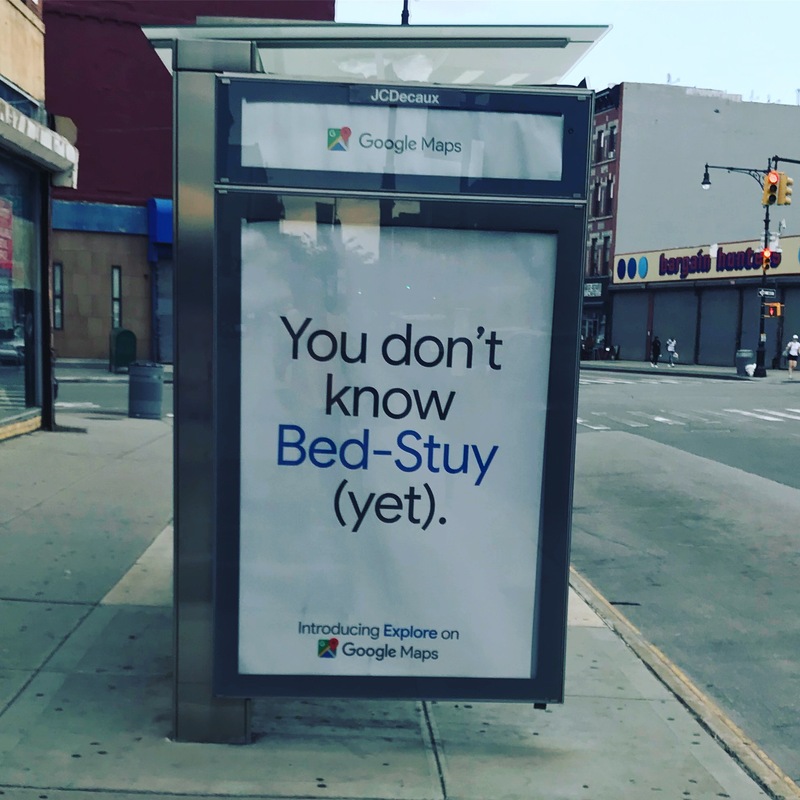 The caption read, “You Don’t Know Bed-Stuy (yet).” I wasn’t sure why, but at first glance this ad rubbed me the wrong way. I was born and raised here. Except for the time I spent living in Maryland, there is no other place that I’ve ever called home. I know Bed-Stuy, I’ve known it longer than Google has existed, and I know it better than some app ever could. But that fact isn’t in question and that isn’t why the ad bothered me. A couple of weeks ago, a friend of mine, Akim Vann, was the victim of a theft. Akim owns the Bakery on Bergen, a boutique bakery on Bergen Street in Prospect Heights. Outside of her bakery, Akim keeps these topiary dogs, they were gifts to her on her reopening. One of those dogs were stolen from the front. When she checked her security cameras, Akim saw that a white woman took the dog from the front of the store. You can clearly see the woman kick the dog to the ground and away from the front door before picking the dog up and walking away. Akim posted the video and asked for help in finding out who did this. Akim has a strong relationship with Power 105.1 radio host Angela Yee, and Angela also posted the video and asked for the public’s help in finding the culprit. Somehow, the perp heard that she was cold-busted (that means caught in the act) and she sent a message to Akim apologizing for taking the dog. In her message she said, “I did not think I was hurting anyone.” A few nights later, under the cloak of darkness, Akim’s security cameras caught a man in a hoodie returning the dog to the front of the bakery. If the woman’s flippant attitude about theft and the lame way she chose to return the stolen property wasn’t enough disrespect, the woman was later interviewed by “The Gothamist” and she basically accused Akim of using the theft as a way to drum up business. And that’s why the ad that I saw bothered me. If you were to ask native residents about the issues that they have with new residents, by and large, natives will talk about the attitude and the feeling of being colonized. When you move into a new community, the norm is to learn how to fit into that community. You learn about your new community, you talk with the people who were there before you and eventually you become a part of that community. 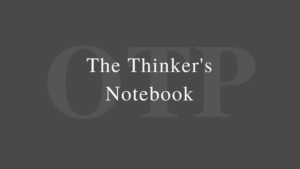 In all too many instances in “New” Brooklyn, new residents enter an established community and attempt to change that community to suit their personal wishes without any regard towards the neighborhood that was there before they arrived. And that feeling doesn’t just come from the new residents, it comes from the new realty companies that will market as they need to in order to attract a new face into the neighborhood. It comes from the big corporations that market to new residents in ways that can be viewed as a slight to those of us who’ve been here for generations. And its residents that don’t respect the businesses in our community, even stooping low enough to literally rob a business only to flippantly return what they stole, as if the theft wasn’t a crime, as if that attitude isn’t disrespectful to us. But it is, and it is.